Hankie Uluko is the Head of Engineering Department at the Malawi University of Science and Technology (MUST). Hankie holds a PhD (2014) from Chinese Academy of Agriculture Sciences (CAAS), MSc in Agricultural Engineering (2005) from Jomo Kenyatta University of Agriculture and Natural Resources (JKUAT), Masters in Intellectual Property (2011) from Africa University and a BSc in Agriculture (2001) from University of Malawi. 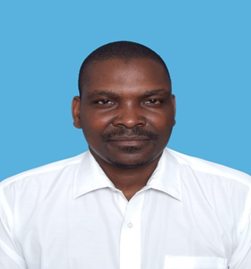 He is an Associate Professor/Reader in Chemical Engineering with special interest in food processing and value addition. He previously worked at the Lilongwe University of Agriculture and Natural Resources (LUANAR), in the Agricultural Engineering Department. Hankie is overseeing the implementation of five engineering programs which are unique including chemical engineering, materials & metallurgy engineering, biomedical engineering, textile engineering and manufacturing engineering which should generate special engineers needed to spur the economic development of Malawi and beyond through innovative technology development and entrepreneurship.